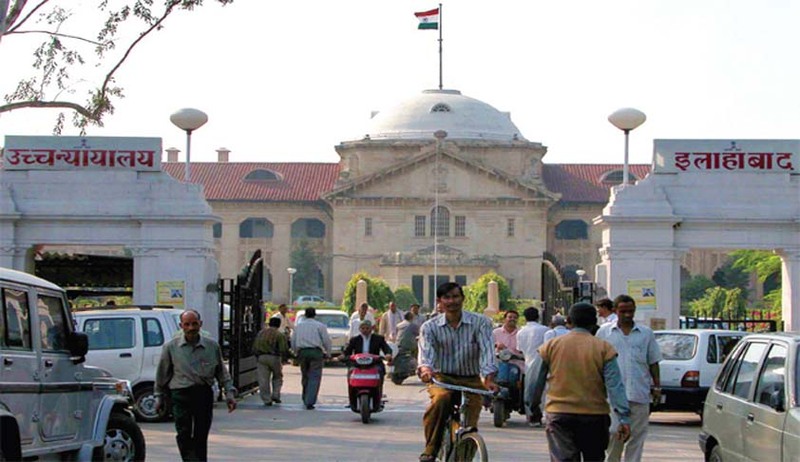 Allahabad HC lambasted a Lawyer who filed PIL complaining against Sufi Songs, Non Veg food in sesquicentennial celebrations. Food preferences of an individual cannot determine the nature of arrangements which are made in public events of this nature.No one can dictate that food of only a particular nature should be served on such an occasion, the Bench said. Asok Pande, had approached the High Court requesting it not to hold sesquicentennial celebrations contending that it amounts to celebrating the subservient legacy of the British Rule. The High Court had then dismissed his petition and the celebrations were held last month. Soon after Asok Pande, filed a PIL in respect of cultural programs which were held as part of celebrations. The grievance of petitioner was against Sufi songs being played and non-vegetarian food which was allegedly stored, in connection with celebrations. The petitioner also contended that the serving of non-vegetarian food should be prohibited in any public function held on public property at public exchequer. Expressing displeasure about the attempt by petitioner to impute communal overtones to a cultural event to mark a historic occasion of the High Court, the Division Bench comprising of Chief Justice D Y Chandrachud and Justice Rajan Roy said that cultural programme involved a demonstration of the talent of artistes drawn from a cross section of society and covered. The petition filed by Asok Pande contained some other frivolous allegations against sitting Judge of the High Court. Taking note of these statements made, the High Court has issued contempt of court notice to the petitioner. In paragraphs 9 and 10 of the writ petition, the petitioner has made the following averments against a sitting Judge of this Court: “9. That it appears that this 'Harkat' to hurt the sentiments of Hindus was planned by the Chairman of the organizing committee, Sri Shabibul Hasnain and his other religious men in the High Court administration to give the befitting reply to the Governor Sri Ram Naik as during the day session, in the presence of Sri Hamid Ansari, Vice President of India, Sri Ram Naik did Ram Katha and congratulated the persons gathered there on the eve of the Navratri and Ram Navami 10. That it appears that only to give befitting reply to the Governor and other Hindus, the evening culture program, which should have been started with Saraswati Vandana and Vande Mataram started with Allah-hu, Allah-hu, in the name of so-called Sufi gayan.” We find prima facie that the manner in which the petition has been drafted and an effort has been made to target the Chairperson of the Organizing Committee at Lucknow, who is a sitting Judge of the High Court, is a scandalous attempt to lower the dignity of the Court. The event in relation to which the allegations have been levelled is intrinsically connected with the High Court as an institution for the administration of justice. The event was to mark the sesquicentennial of the High Court as a court of justice under the law. The averments in the petition, including those which have been extracted above, prima facie, indicate that a conscious and premeditated attempt has been made to bring the Court and the Judge of the Court into disrepute. This is a calculated attempt to sow the seed of hatred and to divide the institution on communal lines”. The Court has also issued a direction to the registry that each petition (PIL) be accepted for filing only if it is accompanied by a Demand Draft of Rs 25,000/- drawn on a nationalised Bank. In the event that the Court finds that the petition is a genuine effort to espouse a cause in public interest, the Demand Draft will be ordered to be returned to the petitioner by the Court. However, in the event that the petition is found to be a frivolous exercise or an abuse of the process, the amount shall abide by such orders in regard to the payment of costs as may be passed by the Court, the bench said. Dismissing his PIL by imposing costs of Rs. 25,000, the Court said indicate that a conscious and premeditated attempt has been made to bring the Court and the Judge of the Court into disrepute. This is a calculated attempt to sow the seed of hatred and to divide the institution on communal lines, the Bench said.